Wednesday, October 31: A red-phase Eastern Screech-Owl is once again using the nest box in front of the nature centre now that trees are loosing their foliage. It is most often seen at dusk. This is an excellent time to look for northern finches. An Evening Grosbeak has been visiting our feeders today while Purple Finches have been present in good numbers and a few Pine Siskins can be found mixed in with flocks of American Goldfinches. Black-capped Chickadees are also moving through the local area in large numbers this month. Thursday, October 18: Visit our new page on Lady Beetles. Huge numbers of Multicoloured Asian Lady Beetles were reported this past Saturday. Swarms of these brightly coloured beetles were searching for hibernation sites in the cracks and crevices on the sunny side of homes and buildings in Windsor. They will stay in protected locations for the winter and then disperse to lay eggs once spring arrives. Thursday, October 5: More species of mushrooms are appearing at Ojibway with the arrival of cooler weather. 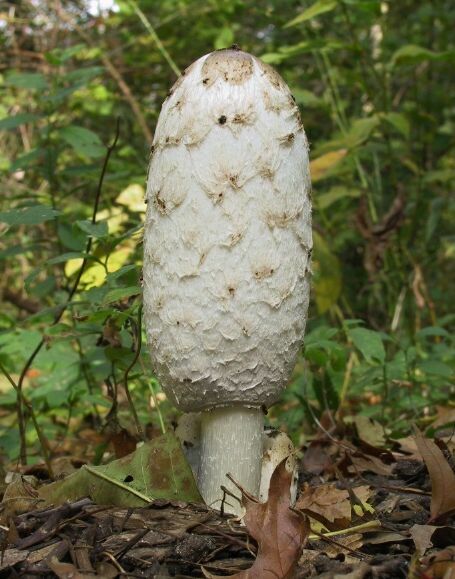 Large numbers of Honey Mushrooms, Armillarea mellea, can be seen around stumps and logs while Shaggy Manes, Coprinus comatus (PHOTO), are found along the edges of park trails. 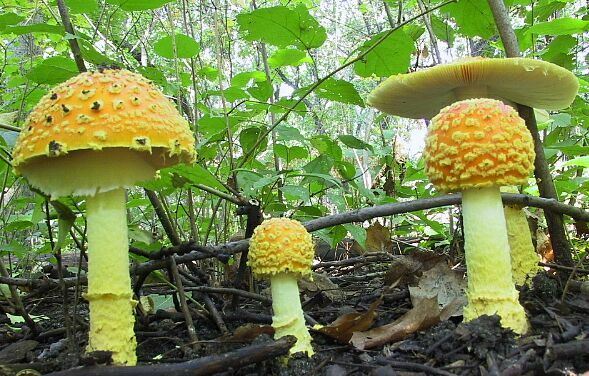 Violet hued Blewits, Lepista nuda, and brighty coloured Yellow Patches, Amanita flavoconia, (PHOTO) add colour to the forest floor. Tuesday, October 2: Fringed Gentians Gentianopsis crinita are in full bloom. A good location to see this species is the old sand pit area in the provincial nature reserve. Many species of asters are still showy and red maple, smooth sumac and virginia creeper are now brightly coloured. Careful observers should be able to find Great Plains Ladies' tresses orchids Spiranthes magnicamporum flowering in sandy prairie meadows. Millions of lady beetles were swarming just outside Point Pelee this past weekend. 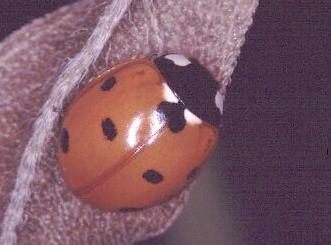 The vast majority were Seven-spotted Lady Beetles, Coccinella septempunctata, (see above photo). Visit the lady beetle page for more information.